Mteto Nyati, Altron Group's chief executive. Allied Electronics Corporation (Altron) is close to concluding the sale of its non-core assets, as the company looks to move away from the manufacturing sector into a fully-fledged ICT services provider. This was revealed by Mteto Nyati, Altron Group's chief executive, yesterday in Johannesburg, when the company unveiled a new brand looking to bring the company under a single identity. 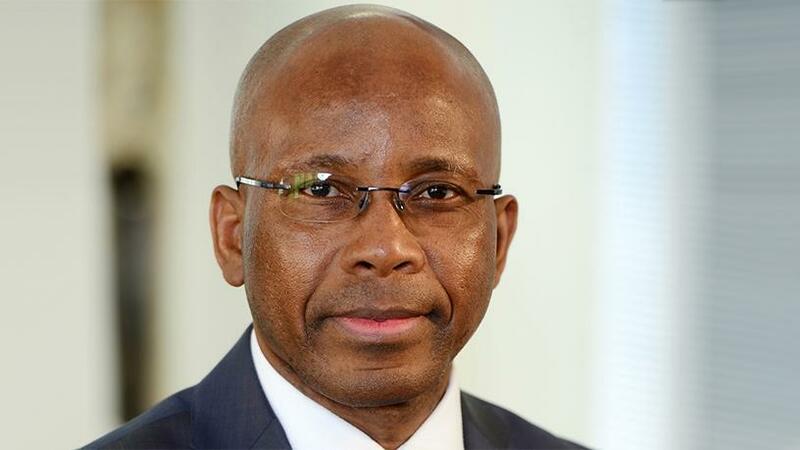 Former MTN SA CEO Nyati only took up the leadership role at Altron in April 2017. He is pushing forward with plans to revitalise the company after a number of challenging financial years, including a loss of over R1 billion in total revenue for the year ended 29 February 2016. A major part of this strategy is selling off various non-core assets and focusing on the company's core operations that are turning a profit. Speaking to journalists yesterday, Nyati said: "We entered this financial year with about four assets that we needed to sell. "We have finalised the sale of Powertech Transformers, and we are now in the final stages of concluding the Altech UEC deal. We believe that in the next two to three months, that should be concluded." However, Nyati said the Altech UEC deal still needs to go to the Competition Commission. "But when we announce our next results, we feel that we should be in a position to say to the market that the deal has been concluded." Altech UEC manufactures digital broadcasting devices like set-top boxes, automotive vehicle telemetry units, and home gateway products. "The same goes with CBI; we feel that further down the line, we will be able to conclude a sale there. We are at the right time to focus 100% on ICT." He pointed out that Altron's decision to focus on ICT while moving away from manufacturing was enabled by the current operation environment. "In the past, we entered into manufacturing largely because of sanctions. We were feeling that there was a gap open within the South African market. However, those conditions have long changed and we are now operating in a much more open environment. We are finding the manufacturing entities that we had were competing with much larger players globally and most of those players are based in China; and some of the entities we had here in South Africa had one or two customers, which presented a big risk. "For example, the transformer business was selling to Eskom and that was the only company that was buying. Our set-top box business was largely only selling to MultiChoice, just one customer. The CBI business is serving its copper cable to Telkom, one customer as well. "So the economies of scale are not there while we are trying to compete with global players in China that are selling across the world. So our cost structure was way out of line, thus it did not make any sense for us to continue with manufacturing." According to Nyati, the proceeds the company has been getting from the sale of non-core units have been used to pay off or reduce the company's debts. "Our debt is now at par with where a company of our size should be; we are in a healthy position and this is where we are starting to have different discussions of growing the bottom line." Regarding acquisitions, Nyati said Altron has identified four growth areas for the business: cloud computing, data analytics, security and the Internet of things. "In some units, we have capabilities in those areas, but in some areas we have many gaps. So our acquisition strategy is defined by trying to close those gaps in our capabilities. In SA, we bought IS Partners. They fill two gaps in data analytics and cloud computing. "We also made a strategic choice, as a company, to align ourselves with Microsoft in the cloud computing space, together with Amazon Web Services. So IS Partners helped us to address the Microsoft capability."